Long ago before there was Lee Circle, the circular park that connected Faubourg Santa Maria (today’s Central Business District) and the Lower Garden District in New Orleans was called Place du Tivoli. Also known also as Tivoli Gardens or Tivoli Circle, the park’s name derives from the legendary beauty of the centuries-old gardens in Lazio, Italy and is usually associated with public garden parks in Europe. In such settings, the Tivoli name is often used to conjure images of paradise. In New Orleans, famous engineer, architect, and city surveyor, Barthélémy Lafon, incorporated the circle park into his urban plan design in the new faubourgs upriver. 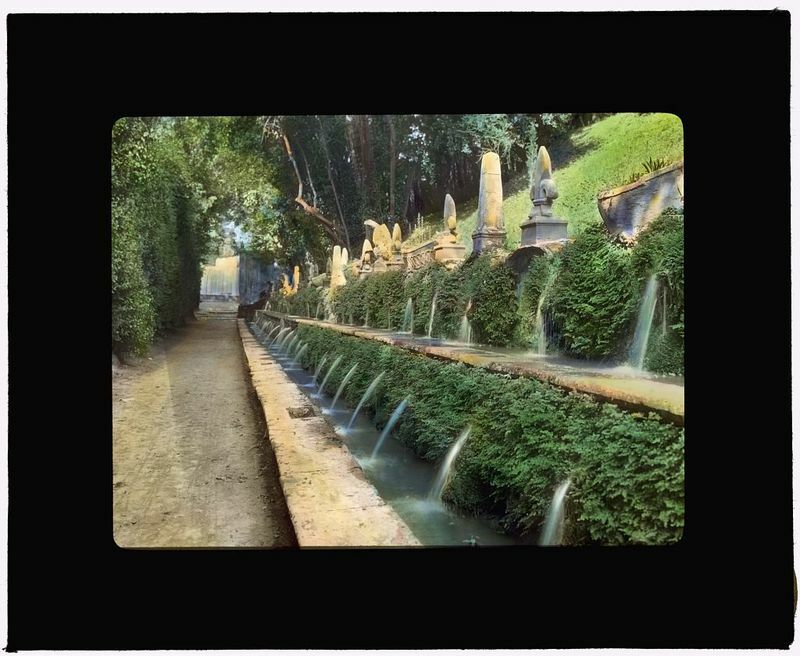 Placing the park along the grand avenue leading into the neighborhood, Lafon imagined a place for entertainment and amusement, encircle his garden with canals that interlaced the lower Garden District similar to Venice, Italy. This romantic and European-inspired recreation would become Place du Tivoli. Tivoli Circle would become an area welcome to circuses, social events, and even a carousel during the 19th century. Lafon’s surrounding street names also reflect the popular vogue of Greek Classical culture and history of the 1810s. Lafon intended Tivoli circle to announce the transition of St. Charles Ave to the Cours des Naiades, after legendary freshwater Greek nymphs, and Cours des Tritons, or Triton’s Walk along present day Howard Avenue, in reference to Poseidon’s powerful triton staff from Greek mythology. Although the city did not keep these two earlier names, Lafon’s plan included “The Harp of the Nine Muses” located near the circle, which geographically creates the shape of a harp with the parallel “strings” named after each of the nine lovely Greek goddesses of the arts. In 1833, the New Orleans and Carrollton Railroad was chartered and opened for business just two years later. Today, these tracks have been updated for use by the St. Charles Avenue Streetcar Line. The railroad served to connect the city of New Orleans with its growing suburbs in areas like Carrollton. The train track cut through Tivoli Circle in an arc, traveling along Triton’s Walk to Baronne Street, where it continued into the city to Poydras. Tivoli Circle served as the main link between Downtown New Orleans and Uptown neighborhoods and is still a popular location to meet and celebrate for Mardi Gras parades. During the Union occupation of New Orleans during the Civil War, troops camps on Tivoli Circle with their cannons and weaponry. When Robert E. Lee died in 1870, just five years following the end of the Civil War, the Robert E. Lee Monumental Association formed. After fourteen years of private funding and planning by the Association, the statue of General Robert E. Lee was erected on February 22, 1884. The 7,000lb., 16.5ft. bronze statue stood atop a 90-foot Tennessee marble column at Tivoli Circle, a site donated by the New Orleans City Council. After standing for nearly 133 years, the statue of Robert E. Lee was removed from Lee Circle in 2017. The Tivoli name has come up in other venues within the neighborhood around its former home through restaurants and senior apartment buildings. Tivoli Circle served as a city center in many ways, having been at the focus of many important buildings that have come and gone. While the circle’s title, social, and political purpose has changed over the past two centuries, the area that was originally Place du Tivoli remains an icon of travel, commerce, and social gathering within the city of New Orleans. Shelby Loyacano, “Tivoli Circle,” New Orleans Historical, accessed April 24, 2019, https://neworleanshistorical.org/items/show/1468. Larino, NOLA.com | The Times-Picayune, Jennifer. "The history of New Orleans' Lee Circle." NOLA.com. June 24, 2015. 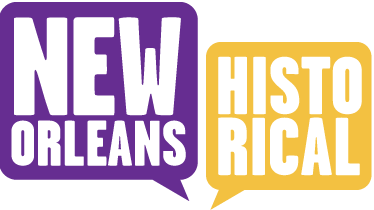 Accessed February 21, 2018. http://www.nola.com/politics/index.ssf/2015/06/lee_circle_history_new_orleans.html. "New Orleans Tivoli Circle." Old New Orleans. Accessed February 21, 2018. http://old-new-orleans.com/NO_Tivoli_Circle.html. Hemard, Ned. "New Orleans Nostalgia: Lee Circle Before Lee ." New Orleans Bar Association. 2016. Accessed February 21, 2018. http://www.neworleansbar.org/uploads/files/Lee%20Circle%20Before%20Lee%201_13_16(1).pdf.